apologies for the sporadic form that my blog has been taking of late, writing just hasn't been a priority. after the passing of superdave, we managed the funeral, coped with christmas and survived a minor health scare, but no less than nineteen days after losing her dad, tania's mum june passed away in her sleep on new years eve. juney loved new year, it was her night more than any other, and i feel sure superdave had a party invite for her that she couldn't say no to. 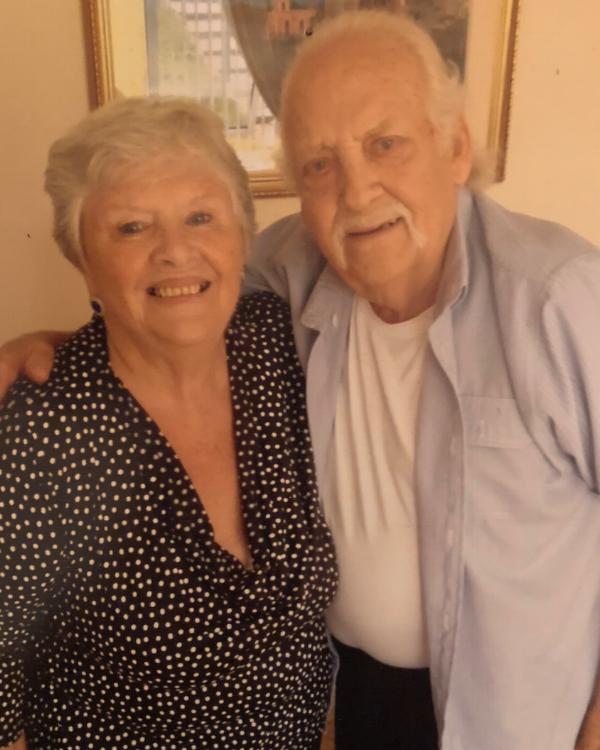 she passed very peacefully, and the paramedic told us it was probably a broken heart, which the timeframe very much suggested, and how very romantic that after 65 years together, they couldn't bear to be apart. i'm not gonna lie, as a family we are all struggling with this second death, and losing both parents in such quick succession is just so so shocking, and the whole process of calling everybody to arrange another funeral has been extremely painful. i am going to stop blogging for a while, until it feels right to continue. we will overcome, and we will regroup coming back strong, but for now it isn't right. when reading this please don't be sad, but please remember life is precious, and when people leave us we don't get second chances, so call that person you love, tell them, as at the end, it is all about love. rest in peace juney, say hi to superdave for me, and may all your skies where you are forever be blue.